This is a craft activity suitable for older children, recommended approximately 6 years with assistance. Over 10's should be OK to make them independently. 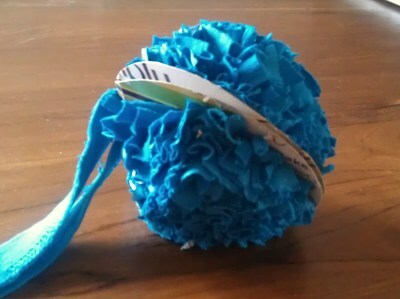 T-shirt pom poms are a great way to reuse old t-shirts, clean but faded or damaged tees are good for this. No need to buy a new t-shirt if you don't have an old one in the house, you can pick up old t-shirts from charity stores for next to nothing. 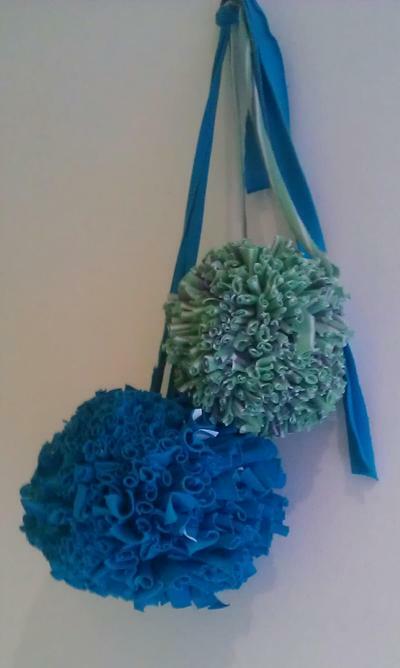 They make lovely room decorations, alternatively, smaller pom poms can be used for hair tie decorations attached to elastic hair ties. 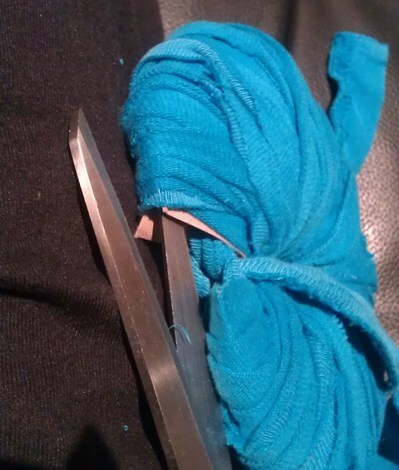 Take your clean t-shirt, and cut into strips with your scissors approximately 3-5cm in width. 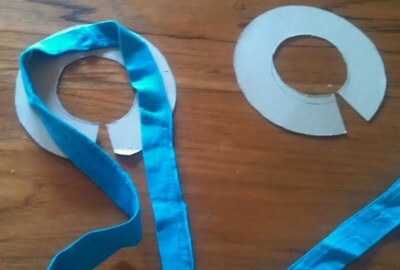 Cut each strip open at one end, so you have one long strip rather than a hoop. Draw around your larger circular object twice onto your cardboard. I used the back of a cereal box, and a jar lid to trace around for my circle. Take one long cut strip of t-shirt, place around the inside of one cardboard circle, and place the other circle on the top. Tip - the bottom t-shirt strip is good for this part because it is double width and more study for the final tie/knot at the end of the project. With the remaining t-shirt strips, wind each one around your card circles. There's no need to knot each piece as you go, when you get to the end, tuck the end of your strip under the last wrap around if you need to, otherwise hold with your fingers. Add the next strip and wrap over the last. 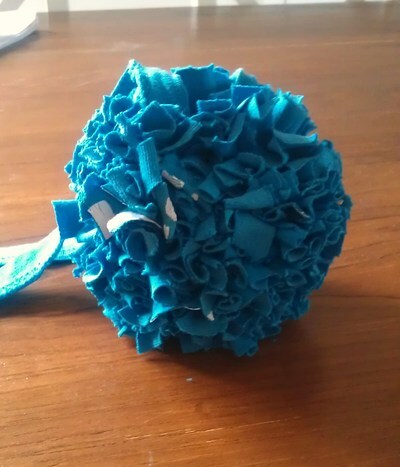 Wind fairly tightly, this will help your pom pom 'spring' into place on completion. Once you've wrapped as much as you can, and cannot see much of your middle circle gap, then take your two loose ends and tie together in a knot to secure what will be your pom pom. 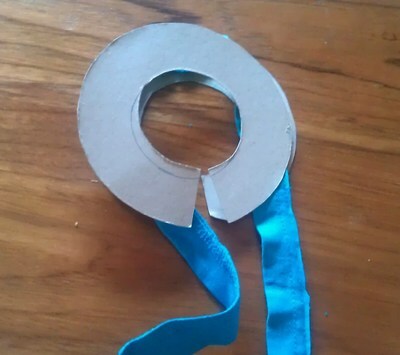 Take out your cardboard circles, and at this point, I would trim off excess pieces on the pom pom to tidy it up. You are done and ready to hang and display.